Propeller Anime: Thank You for Supporting Our Holiday Charity Party! Thank You for Supporting Our Holiday Charity Party! It's a little late, but we want to thank all of you who came our recent holiday charity party to benefit the foster kids at One Hope United! 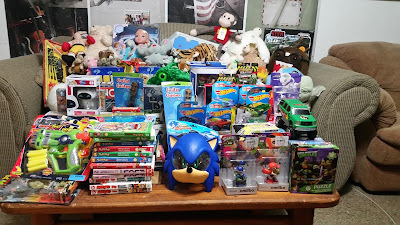 A lot of kids are going to have a fantastic holiday this year thanks to your support. You should all be proud of yourselves for stepping up. We look forward to helping One Hope United again in the future! We wants to give shoutouts to our great performers of the night, Richie Branson, Sci-Fried, HDninja, Benjamin Briggs, and Chaotic Logic! Please check out their music and follow them on social media! On top of that, we want to give a big thanks to our prize raffle sponsors Anime Festival Orlando, Crunchyroll, Holiday Matsuri, GameChops, FUNimation, Anime Orlando Inc., Cybertron Video Games, Booze and Boards, OASIS, OverClocked ReMix, and Amazon at UCF for all the cool swag that helped us raise more money for the One Hope United organization! We hope you enjoy your holiday and we hope to see you all at our final Anime Nite Orlando of 2015 and at Holiday Matsuri this weekend. Propeller Anime Events at Holiday Matsuri 2015!